Let’s get this out of the way right up front. On my second day hiking the Appalachian Trail I got lost. That’s right – even before arriving at Springer Mountain since I opted to be a dude and take the Amicalola approach trail on the first day. After the 7.3-mile hike to Black Gap Shelter the cold started setting in and I decided to set up camp. I ended up in the middle of a group of seven men who had been dubbed the Bear Canisters. I was admittedly a bit intimidated by them since they seemed to know everything I didn’t about trail life, but when they had trouble lighting a fire with wet wood I remembered the package of dryer lint my friend John set me up with and offered it to them. Impressed might be too strong a word but they welcomed me into their circle and I soon learned their commonality is that they are from Dallas and all fathers of Eagle Scouts. Gulp. After eating and retreating to my tent for the night I heard a voice calling, “Orlando, you left your dishes by the fire.” So that is how I became Orlando. Let’s be clear – being from Orlando there are certain things I have difficulty tolerating. I prefer warm to cold, downhill to up, and sand to snow. But I also love adventure and had to remind myself of that the next day after the Canisters said a prayer for me and went on their way south and home to Dallas. I continued north and within two miles (uphill) came to a fork that required me to choose straight or right. I saw a muddy footprint going straight and that’s the path I took. Wrong answer! Within five minutes it became clear I was off-trail and there was no clear path back. Everything in every direction looked the same. So I sat on a rock, looked for my whistle, which was on the back of my pack, looked for my compass, which was on the back of my pack, consulted my phone, which had no service, and contemplated for just a moment pushing the SOS button on my GPS tracking device. Since I had been there less than ten minutes I decided the more feasible thing to do was to call out a few friendly “hellos” before fully panicking. Fortunately within five minutes a fellow hiker from camp one heard me and came down to show me the way back to the trail. I relay this to underscore the seriousness of this undertaking and also to recognize our fragility and the need to depend on others. 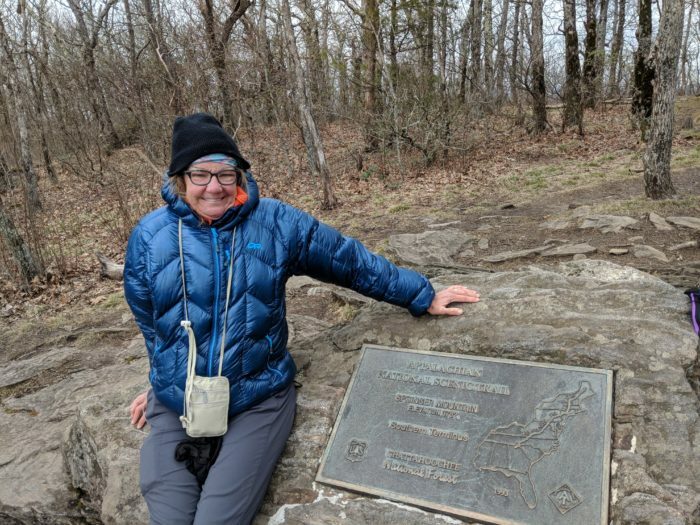 Back to the question of, “Why would a woman from Orlando want to hike the Appalachian Trail?” That is part of the answer. I hope if the Bear Canisters or my savior from day two are reading this you will self-identify. I am now on day eight – a zero day in Helen – and looking forward to my return to Unicoi Gap tomorrow. Hi Orlando. Hope your doing well. I am the girl that gave you a ride back to Newfound Gap in the Smoky Mountains. 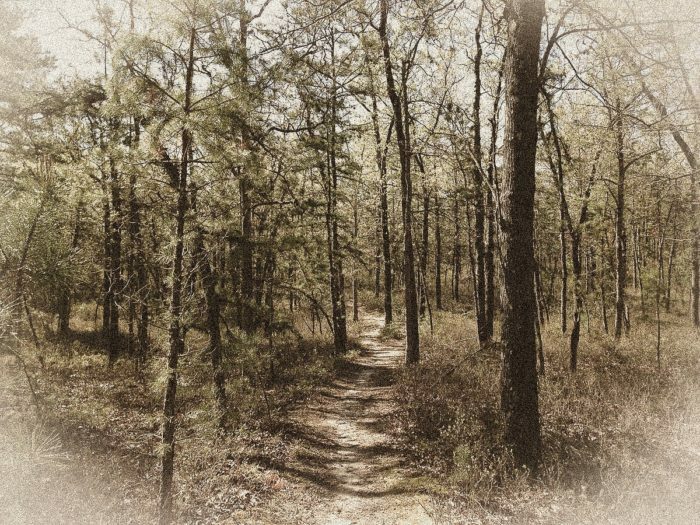 I am getting back on the trail July 1..at Pearisburg. Just hiking to Harper’s Ferry. Let me know how you are doing. Barb – When the war starts…I want you in my foxhole. Stay strong. Ha ha. You can always make me smile – even anticipating 24 degrees tonight! Thanks Audrey. Wind chill of 24 expected tonight. It will be a real test. Every challenge you meet, every obstacle you overcome, is one more treasure in your collection of achievements. Congrats on a successful first week…and I hope you are snuggly warm tonight. Thanks Kris! Love that. I’ve been hibernating a few days as the weather turned pretty cold. Should get back on trail tomorrow and could hit NC by tomorrow night! Just follow the blaze and you won’t get lost. Been thinking about you, enjoy hearing about your adventures! Hope to run into you out on the trail. I start this weekend in Harpers Ferry, heading south.